5G is here and is making the technology giants lose their sleep. Theories suggest that you will be able to download an entire season of game of thrones in just a second. Let's get into the analysis of what's 5G all about. IOT the thing we keep talking about will be possible with 5G. Driverless cars, smart cities will be booming and backed up solely by 5G in the coming years. 5G is HUGE! and we mean no jokes. A boost in speed will be supersonic for our age and time of technological advancement. Verizon being the first to claim three years ago to be working on this technology has created a surreal hype, and we can't wrap our heads around it. WHAT IS 5G? HOW DOES IT WORK? 20 times faster than your regular cellular data transmission speed, extra-wide coverage and reliable coverage of the network makes up 5G. It uses special transmission channels, even more, advanced than the regular fiber optic network. It can function across and through obstacles, walls etc. Nope, we're talking huge numbers- when it comes to reduced latency. Latency is the response time between you clicking a particular link and the request activation response onto your phone as the network response. Yes, we weren't joking when we said that you can download an entire game of thrones season in just a second- thanks 5G. AWESOME! BUT WHEN, WHERE AND HOW CAN I USE 5G? Americans will be the privileged ones to be using 5G as first consumers, that too limited to California region. 5G gets here this October, and Verizon is making it possible. The connection is a broadband medium based on its technicality. Sprint and chipmakers Qualcomm argues that they can deliver optimum 5G speeds, but the following year possibly. The devices are not typical handsets. 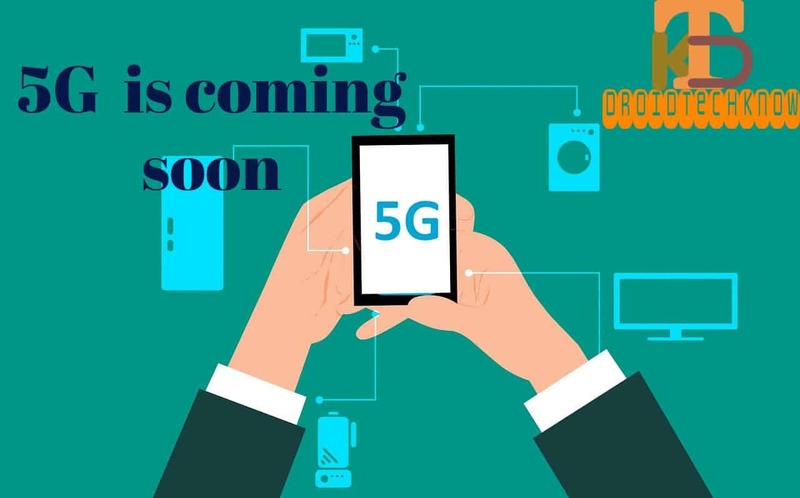 5G is to be used in special devices which comes with a special set of antenna set configurations. NR (New Radio) is a standard to make 5G function. Companies are rallying around this technology to make 5G accessible and worthy of its name game. All cellular networks use airwaves to ferry data over the air. For 5G this range falls between 24 gigahertz and 100 gigahertz against 700 megahertz of standard networks used today which are not 5G. Given how troublesome really high-band spectrum can be (see the "Millimeter-wave" section), there's a movement to embrace spectrum at a much lower frequency, or anything lower than 6GHz. The additional benefit is that carriers can use the spectrum they already own to get going on 5G networks. T-Mobile, for instance, has a swath of 600MHz spectrum it plans to use to power its 5G deployment. Prior to sub-6GHz, that would've been impossible. That's why you're seeing more carriers embrace the lower frequency spectrum. But lower frequency spectrum has the opposite problem: while it reaches great distance, it doesn't have the same speed and capacity as millimeter wave spectrum. Ultimately it's about much higher speeds on the existing LTE network. But the work going toward building a Gigabit LTE network provides the foundation for 5G. An acronym for multiple inputs, multiple outputs. Basically, it's the idea of shoving more antennas into our phones and on cellular towers. And you can always have more antennas. They feed into the faster Gigabit LTE network, and companies are deploying what's known as 4x4 MIMO, in which four antennas are installed in a phone. It stands for quadrature amplitude modulation. It allows traffic to move quickly in a different way than carrier aggregation or MIMO. Remember that highway analogy? Well, with 256 QAM, you'll have big tractor trailers carrying data instead of tiny cars. MIMO, carrier aggregation, and QAM are already going into 4G networks, but play an important role in 5G too. Cellular networks all rely on what's known as licensed spectrum, which they own and purchased from the government. But the move to 5G comes with the recognition that there just isn't enough spectrum when it comes to maintaining wide coverage. So the carriers are moving to unlicensed spectrum, similar to the kind of free airwaves that our Wi-Fi networks ride on. This is the ability to carve out individual slivers of spectrum to offer specific devices the kind of connection they need. For instance, the same cellular tower can offer a lower-power, slower connection to a sensor for a connected water meter in your home, while at the same time offering a faster, lower-latency connection to a self-driving car that's navigating in real time.